The first Google Phone Nexus One came to us today. It’s awesome and beautiful. Can’t wait to get one. 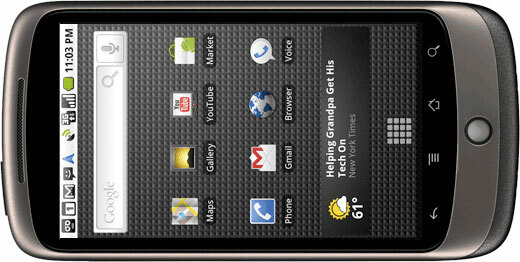 There already are many reviews or articles about the Nexus One software or hardware on the internet. So I’m not repeat here. 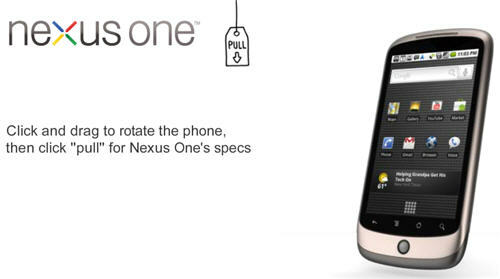 And this article is mainly regarding the video playback features of Nexus One. Google Phone Nexus One features a 3.7in AMOLED display, with a resolution 800×480. The screen has a 100,000:1 contrast ratio and a response time of 1ms. The display effect is awesome, even better than iPhone and Droid. It has an illuminated trackball which can emit different colors of light based on the type of notification being received. 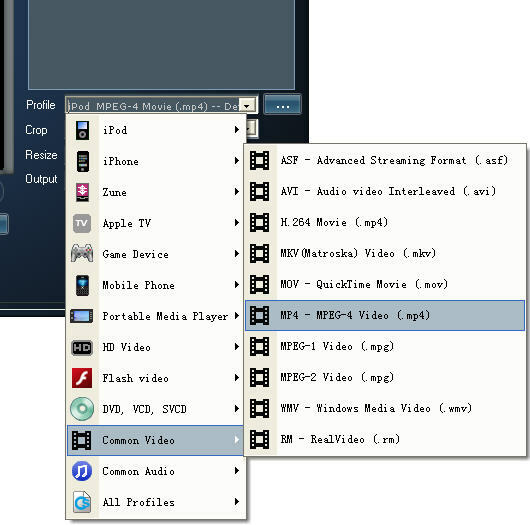 As for the video playback, It provides hardware decoding for H.263 (encode and decode) MPEG-4 SP (encode and decode) H.264 AVC (decode), and is capable of playing MP3, AAC+, Ogg Vorbis, WAV and MIDI audio, and displaying the JPEG, GIF, PNG and BMP image formats. Video playback Up to 7 hours; Audio playback Up to 20 hours. Video captured at 720×480 pixels at 20 frames per second or higher, depending on lighting conditions. If you want to convert and play your own DVD movie or video on Google Phone nexus one, you can follow these steps to put video on Nexus One. Step1. Download and install DVD Video Converter Suite, I have tried many converters, and this one works best for Google Phone Nexus One. I have already scanned it with Norton virus protector, it’s safe. Then lunch the DVD Converter. Put your DVD into your DVD Drive, click “Open DVD” to load the movie, it even supports copyright protected DVD too. Step2. Click the profile dropdown list to select “MP4 – MPEG-4 Video (.mp4)” as output video. Step3. Click “Convert” to start the conversion. After that, located the converted video, then you can transfer the mp4 video to your Google Phone Nexus One for playback. This DVD Video Converter Suite also includes a video converter, it can handle all video formats including H264, MP4, WMV, AVI, MOV, RM, 3GP, flv, SWF, mpeg-1, mpeg-2, VideoCD, SuperVideoCD, DVD, and audio formats AC3, AAC, MP2, MP3, MP4, RA, and WMA, even HD quality video, the operation steps are the same, so I’m not repeat here. Further more. Google already join it Adobe Open Screen Project organize. The Flash Player 10.1 will come to Google Phone Nexus One. Then Nexus One will supports all flash content on the internet not only YouTube video, such as BBC iPlayer video, MySpace, mega, yahoo, Facebook, etc., much better than the Apple iPhone.